When the wicked queen discovers that her stepdaughter, Snow White, is the most beautiful woman in the land, she orders the huntsman to kill her. 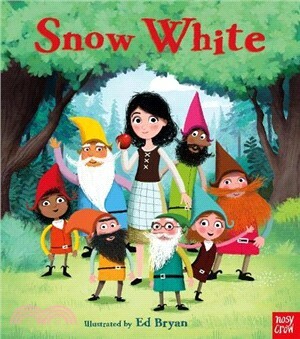 But Snow White escapes and finds a wonderful new home living with seven friendly dwarfs in a cosy cottage. That is, until the wicked queen pays a visit . . . It's up to the seven dwarfs and a very kind prince to defeat the queen and help Snow White live happily ever after! A gentle, light-hearted retelling perfectly pitched for preschoolers and ideal for reading together.